Wondering what you should expect for advertising your brand on Facebook? 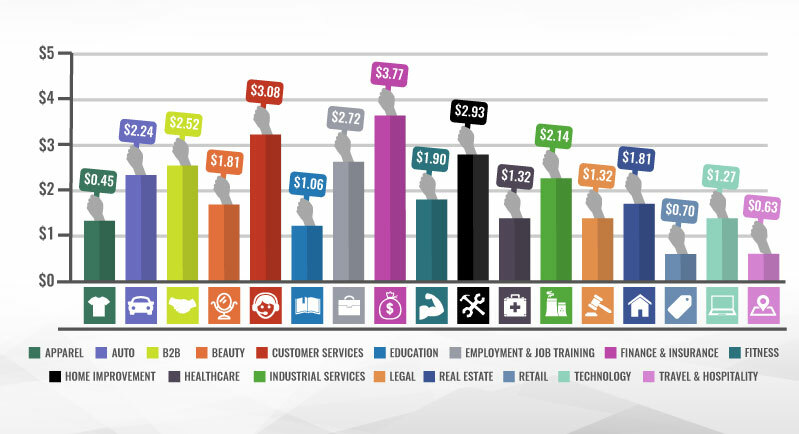 WordStream has put together a great article outlining the average costs for the most common industries on Facebook. It uncovers the average Click-Through Rate, Cost per Click, Conversion Rates, and Cost per Action for each industry along with a detailed analysis of each result.